Intelligent passenger vehicles with autonomous capabilities will be commonplace on our roads in the near future. These vehicles will reshape the existing relationship between the driver and vehicle. Therefore, to create a new type of rewarding relationship, it is important to analyze when drivers prefer autonomous vehicles to manually-driven (conventional) vehicles. This paper documents a driving simulator-based study conducted to identify the preferences and individual driving experiences of novice and experienced drivers of autonomous and conventional vehicles under different traffic and road conditions. We first developed a simplified driving simulator that could connect to different driver-vehicle interfaces (DVI). We then created virtual environments consisting of scenarios and events that drivers encounter in real-world driving, and we implemented fully autonomous driving. We then conducted experiments to clarify how the autonomous driving experience differed for the two groups. The results showed that experienced drivers opt for conventional driving overall, mainly due to the flexibility and driving pleasure it offers, while novices tend to prefer autonomous driving due to its inherent ease and safety. A further analysis indicated that drivers preferred to use both autonomous and conventional driving methods interchangeably, depending on the road and traffic conditions. 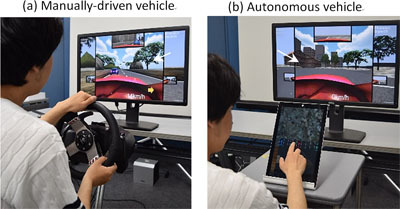 U. Manawadu, M. Ishikawa, M. Kamezaki, and S. Sugano, “Analysis of Preference for Autonomous Driving Under Different Traffic Conditions Using a Driving Simulator,” J. Robot. Mechatron., Vol.27, No.6, pp. 660-670, 2015. T. Kanade, C. Thorpe, and W. Whittaker, “Autonomous Land Vehicle Project at CMU,” Proc. of the 1986 ACM Fourteenth Annual Conf. on Computer Science, New York, NY, USA, pp. 71-80, 1986. 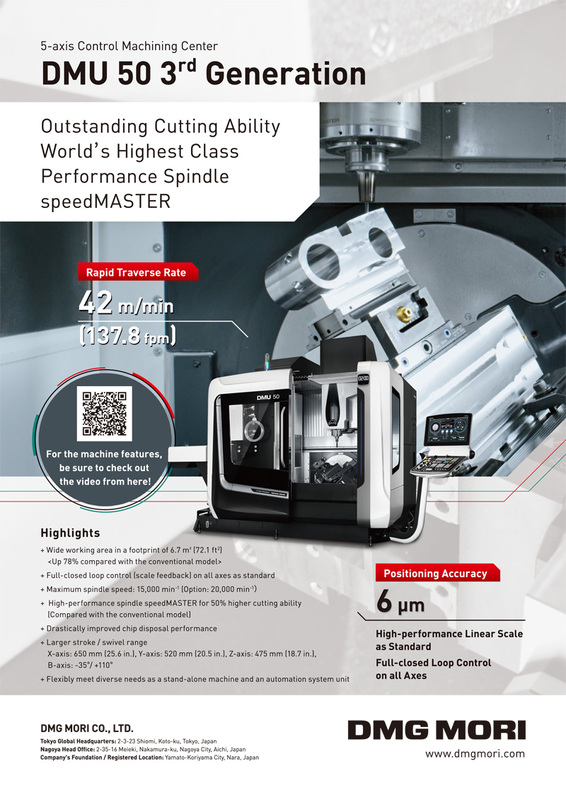 S. Thrun, M. Montemerlo, H. Dahlkamp, D. Stavens, A. Aron, J. Diebel, P. Fong, J. Gale, M. Halpenny, G. Hoffmann, K. Lau, C. Oakley, M. Palatucci, V. Pratt, P. Stang, S. Strohband, C. Dupont, L.-E. Jendrossek, C. Koelen, C. Markey, C. Rummel, J. van Niekerk, E. Jensen, P. Alessandrini, G. Bradski, B. Davies, S. Ettinger, A. Kaehler, A. Nefian, and P. Mahoney, “Stanley: The robot that won the DARPA Grand Challenge,” J. Field Robotics, Vol.23, No.9, pp. 661-692, Sep. 2006. J. Dokic, B. Müuller, and G. Meyer, “European roadmap smart systems for automated driving.” European Technology Platform on Smart Systems Integration, Apr. 1, 2015. M. Peden, R. Scurfield, D. Sleet, D. Mohan, A. Hyder, E. Jarawan, and C. Mathers, “World report on road traffic injury prevention,” World Health Organization, 2004. A. Vahidi and A. Eskandarian, “Research advances in intelligent collision avoidance and adaptive cruise control,” IEEE Trans. on Intell. Transp. Syst., Vol.4, No.3, pp. 143-153, Sep. 2003. V. Milanes, S. E. Shladover, J. Spring, C. Nowakowski, H. Kawazoe, and M. Nakamura, “Cooperative Adaptive Cruise Control in Real Traffic Situations,” IEEE Trans. on Intell. Transp. Syst., Vol.15, No.1, pp. 296-305, Feb. 2014. “Just press go: designing a self-driving vehicle,” Official Google Blog., 2014. C. Maag, D. Muhlbacher, C. Mark, and H.-P. Kruger, “Studying effects of advanced driver assistance systems (ADAS) on individual and group level using multi-driver simulation,” IEEE Intell. Transp. Syst. Mag., Vol.4, No.3, pp. 45-54, 2012. O. Gietelink, J. Ploeg, B. de Schutter, and M. Verhaegen, “Development of advanced driver assistance systems with vehicle hardware-in-the-loop simulations,” Veh. Syst. Dyn., Vol.44, No.7, pp. 569-590, 2006. C. Gelau, J. Sirek, and K. Dahmen-Zimmer, “Effects of time pressure on left-turn decisions of elderly drivers in a fixed-base driving simulator,” Transp. Res. Part F Traffic Psychol. Behav., Vol.14, No.1, pp. 76-86, Jan. 2011. Y. Tanaka, R. Kanda, N. Yamada et al. “Virtual driving simulator for measuring dynamic properties of human arm movements.” J. of Robotics and Mechatronics, Vol.18, No.2, 2006. D. L. Fisher, M. Rizzo, J. Caird, and J. D. Lee, “Handbook of driving simulation for engineering, medicine, and psychology.” CRC Press, 2011. J. Kuhl, D. Evans, Y. Papelis, R. Romano, and G. Watson, “The Iowa Driving Simulator: an immersive research environment,” Computer, No.7, pp. 35-41, 1995. M. Kamezaki, J. Yang, H. Iwata, and S. Sugano, “A Basic Framework of Virtual Reality Simulator for Advancing Disaster Response Work Using Teleoperated Work Machines,” J. of Robotics and Mechatronics, Vol.26, No.4, pp. 486-495, 2014. M. Kamezaki, H. Iwata, and S. Sugano, “Development of an Operation Skill-Training Simulator for Double-Front Construction Machinery Training Effect for a House Demolition Work,” J. of Robotics and Mechatronics, Vol.20, No.4, pp. 602-609, 2008. P. E. Hart, N. J. Nilsson, and B. Raphael, “A formal basis for the heuristic determination of minimum cost paths,” IEEE Trans. on Systems Science and Cybernetics, Vol.4, No.2, pp. 100-107, 1968. S. G. Hart and L. E. Staveland, “Development of NASA-TLX (Task Load Index): Results of Empirical and Theoretical Research,” in Advances in Psychology, Vol.52, P. A. H. and N. Meshkati (Eds. ), North-Holland, pp. 139-183, 1988.